On November 30, 2016 ASUS, today announces the availability of Zenfone 3 Deluxe (ZS570KL) and the Zenfone 3 Ultra (ZU680KL) in India. Launched at Zenvolution India in August 2016, the uber luxurious Zenfone 3 Deluxe is ASUS’ latest premium offering and is available in two variants – one with Qualcomm Snapdragon™ 821 processor and 256GB Internal UFS, the other with a Qualcomm Snapdragon™ 820 processor and 64GB of storage. Both smartphones come with 6GB of LPDDR4 RAM that offers extreme and formidable performance levels to match the demands of even the most intensive users. Launched as part of the Zenfone 3 range, the Zenfone 3 Ultra is one of the other flagship products from the range. The smartphone is the ultimate combination of high grade specifications and ASUS design engineering. Starting today, these smartphones will be available in select Asus Preferred Partner’s retail outlets and all major Online Sales Portals. With the Zenfone 3 Deluxe and the Zenfone 3 Ultra, we aim at revolutionizing the smartphone space in India. Launched to fit into our premium segment, these flagship smartphones are at the pinnacle of design and engineering, and seamlessly combine high-end features in an extremely luxurious form factor. The powerful processor of the Zenfone 3 Deluxe ensures that the smartphone is perfectly geared towards the needs of even the most demanding user. With the Zenfone 3 Ultra, multimedia enjoyment is taken to its peak level, with its high-end display and specially engineered audio/video technology. A true flagship model of the Zenfone 3 family, Zenfone 3 Deluxe truly embodies ASUS’ ‘Design Thinking’ philosophy. Combining a strong yet lightweight aerospace-grade aluminum-alloy unibody construction with an ultra-thin 4.2mm edge on the sides, and with the exclusive PureMetalTM technology, Zenfone 3 Deluxe is the world’s first all-metal smartphone with an invisible antenna design. Built to reflect ASUS’ ‘Zen’ philosophy, the smartphone offers unparalleled signal quality along with a stunning and elegant design. With consumers now increasingly adopting smartphones as the ‘go-to’ devices for photography, Zenfone 3 Deluxe has an incredible front and rear camera, with 23MP at the rear and 8MP on the front, delivering crystal clear images in split second. Featuring the world’s first implementation of the Sony IMX318 Exmor-RS imaging sensor, the rear camera has a large ƒ/2.0 aperture and is equipped with 4-axis Optical Image Stabilization (OIS), which results in high-resolution, blur-free, and low-noise photos in almost any lighting condition. For an advanced video recording experience, the smartphone is equipped with a 3-Axis Electronic Image Stabilization (EIS) system that enables you to shoot super steady 4K UHD videos. Apart from this, the smartphone also features the exclusive Pixel Master 3.0 technology, offering you more than 20 Camera modes that also includes a Manual mode bringing DSLR-like functionalities to a smartphone. To ensure super split-second photography experience, the device features the amazing ASUS TriTech auto-focus system that automatically selects between the 2nd Generation Laser AF, Phase Detection AF, and the Continuous Contrast Detection AF to provide an accurate and an instant 0.03-second fast focus time along with subject tracking. The Camera Lens is protected by a highly scratch resistant Sapphire Cover. All these features combined, make this smartphone a must have device for any photography enthusiast. The smartphone also comes with a built-in fingerprint sensor that is perfectly and ergonomically positioned on the rear of the phone, sitting underneath the user's index finger, unlock the device in just a fraction of a second. The sensor also operates with moist fingers. Powering the device is a 3000 mAh Lithium-Polymer battery, and along with Qualcomm’s Quick Charge™ 3.0 technology, you can truly be on the go with superfast recharge times. For an excellent audio experience, the device is ‘Hi-Res’ certified, meaning you can enjoy high quality audio format playback that is 4 times better than the CD Audio quality along with the new and bundled ZenEar S which is tuned by DTS. Also, the device features a powerful five-magnet speaker coupled with the NXP smart amplifier that provides an extremely clear, loud, and high definition sound output. Designed for the most extreme multimedia enthusiast, the Zenfone 3 Ultra has a stunning 6.8-inch Full-HD (1920 x 1080) display with a 95% NTSC color gamut which results in rich, vibrant visuals even outdoors, under harsh lighting conditions. 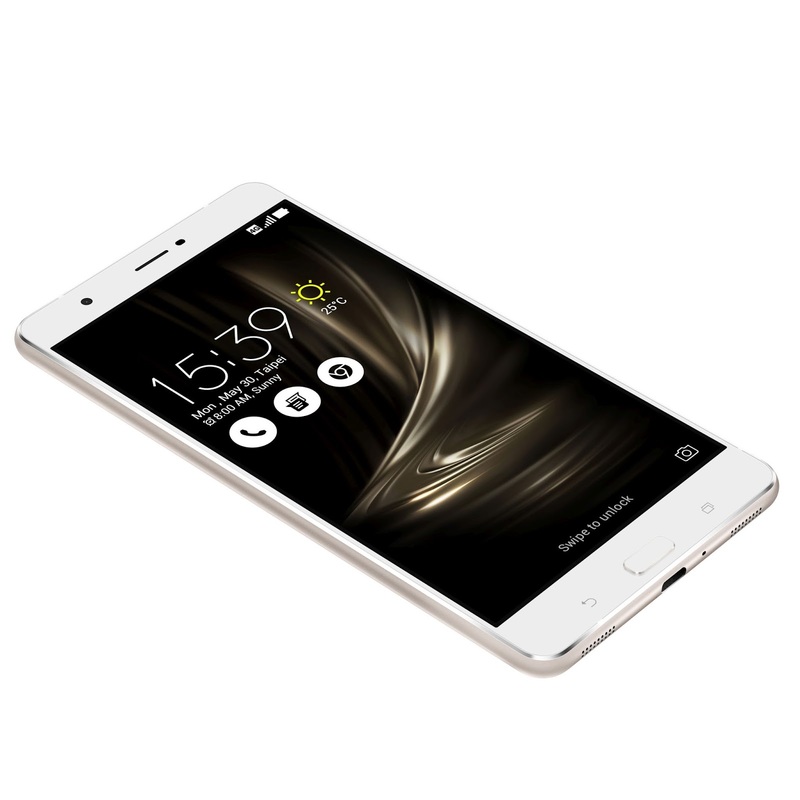 The Zenfone 3 Ultra is the world’s first smartphone that features the ASUS-exclusive ‘Tru2Life+’ video technology, it has a high-end 4K UHD TV-grade image processor from PixelWorks. This ensures that every pixel in each frame is optimized before it is displayed, resulting in superior contrast and clarity. When it comes to audio technology, the smartphone stands out with its two powerful five-magnet stereo speakers along with an NXP smart amplifier that provides loud, clear, and a distortion-free high-definition sound. The Zenfone 3 Ultra further bumps up the excitement by featuring audio enhancements from DTS, with DTS Headphone:X. It provides a fully virtualized sound-stage of a 7.1 channel DTS surround-sound system, over just two channels. This gives the most surreal audio experience on a smartphone yet. And, along with the bundled DTS tuned ‘Hi-Res’ certified ZenEar S headset, the entertainment experience on the Zenfone 3 Ultra is unbeatable. On the design front, like the Zenfone 3 Deluxe, it stays true to the ASUS ‘Design-Thinking’ philosophy with its incredibly slim and elegant full-metal unibody chassis that has no antenna lines on its back. The smartphone has an ultra-slim bezel that gives it a 79% screen-to-body ratio, which maximizes the viewing area while keeping the overall size and weight to a minimum. On the camera front, it features the best-in-class, high-resolution Sony IMX 318 23MP rear camera. The device also features ASUS’ TriTech auto-focus system, which gives you high-performance split-second focus times which is critical for an impeccable smartphone photography experience. A smartphone that has such a high capacity for premium multimedia experiences also needs to be equipped with a powerful processor and battery to ensure an all-round and enriching experience. The Zenfone 3 Ultra does that and more with its Qualcomm Snapdragon 652 octa-core processor coupled with the Adreno 510 graphics chip, and up to 4GB of ‘Dual-channel’ RAM. It also has a built-in fingerprint sensor perfectly positioned on the front of the phone beneath the user's finger which unlocks the phone in just a fraction of a second. To ensure frugal entertainment on-the-go, the smartphone sports a 4600mAh Li-Po battery that offers formidable battery backup performance, and with Qualcomm’s Quick Charge 3.0 technology, you are ensured with blazing fast battery recharge times. The device can also doubles-up as a power bank, unlike any other device. The Zenfone 3 Deluxe with Qualcomm Snapdragon 821 processor and Qualcomm Snapdragon 820 processor are priced at INR 62,999 and INR 49,999 respectively. 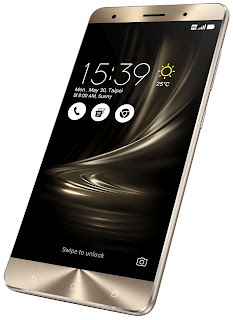 The smartphone is available in two stunning metallic colors - Glacier Silver and Sand Gold. Zenfone 3 Ultra is priced at INR 49,999 and is available in two beautiful colors – Titanium Grey and Glacier Silver. Both these devices feature a meticulous sand-blasted back-finish that makes them feel super premium to the touch. So here is all latest update. Stay tuned for more. Thanks for reading.